Motorsport enthusiasts may recall that there has been an all-new, entirely autonomous, motorsport in the works for quite some time now. 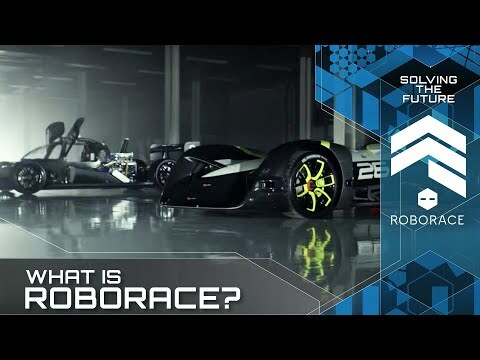 It’s called Roborace and it’s quickly storming towards its first official race … before then, however, the creators are looking to make a little more history elsewhere. How do the Roborace organisers plan to do that? By taking on the Goodwood hillclimb at this year’s Goodwood Festival of Speed. It’ll be the very first time that anyone has tried to complete a fully autonomous run of Lord March’s front garden and will see the phenomenal Roboracer autonomous EV take on 1.16 miles of hillclimb, hay bales and some rather tight, flint wall-lined, corners. Powered by four electric motors that create a total of 500bhp, the Roboracer autonomous racing car uses LiDAR, radar, GPS, 360-degree sensors, various cameras, ultrasonic and special software written by ARRIVAL to navigate its way around whatever race track it finds itself on. Topping it all off (but possibly not helping with the attempt), the exterior was designed by the same Hollywood designer that worked on films such as Tron:legacy and Oblivion. Whilst a fully autonomous run of the illustrious Goodwood hillclimb may seem like a fairly tall order, the incredible new autonomous racing car has already cut its teeth at various Formula E city circuits across the world; each of those being renowned for their tight (and unforgiving) nature. That said, the narrow and winding course at Goodwood has claimed many a racing car driven by the best in world during its 25 years, so the Roboracer certainly has its work cut out. We’re rather looking forward to seeing this, are you? We’d like to read your thoughts on Facebook, Twitter or Linkedin. The minds behind Formula E have unveiled an autonomous motorsport.